In the last article, we explored the first of the three powerful spam filters of the old brain – called the ‘Uniqueness’ filter. The article showed you why the ‘usual’ looking PowerPoint slides are readily ignored by the business audience. That is your slides need to look different from the rest. You can read that article here. If your slides are largely text based – they fail to pass the ‘Visuality’ filter and hence get ignored. Here is a text based slide that describes a living room. Take a moment to go through it. Now, take a look at another slide that says the same thing – but this time as a visual. Which of the two was easier to process? Of course, the second one – with a visual right? That is because, our mind naturally thinks with pictures – not with words. Now, close your eyes for a moment and imagine the smiling face of a small baby. A smiling baby. OK? What did you see inside your head? Or did you see the image of a smiling baby? I am sure, you saw the image. Right? Your mind instantly translated the words – ‘A smiling baby’ into the picture of a smiling baby. That is the way our mind functions. Visuals are hugely important to the brain. The part of the brain that processes visual information is directly connected to the old brain. 70% of the total sensory receptors of the brain are allocated to visual sense. That is why, when you design your slides with visuals – you massively increase the chances of passing the screening phase with flying colors. If your slides have a lot of text – your old brain struggles to process the information and hence ignores your presentation altogether. So, if your slides are not visual – your presentation is ignored. By the way, if you want to know how to create clear and memorable visual slides, I highly recommend you take a look at our Ramgopal’s PowerPoint Mastery Program. How to convert any text based slide into a powerful visual slide using a simple 4 step process called Neuro Slide Design Process. The steps are so simple that any beginner can makeover his/her text based slides into attention grabbing visuals in a matter of minutes. At the same time, the 4 steps are robust enough, that they are based on cutting edge brain research. 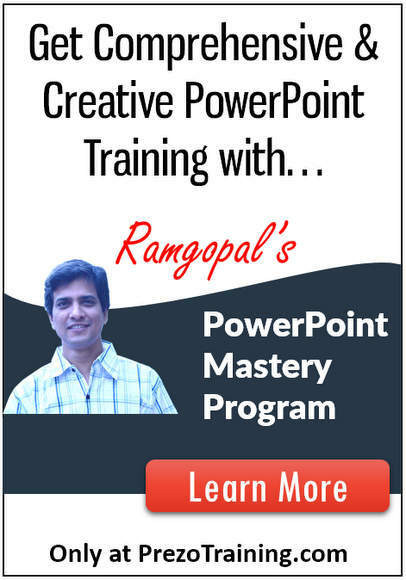 You can get more details about Ramgopal’s PowerPoint Mastery Program by clicking here. 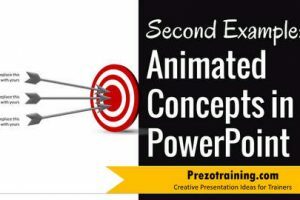 It is the most comprehensive and creative PowerPoint training online for business presentations. 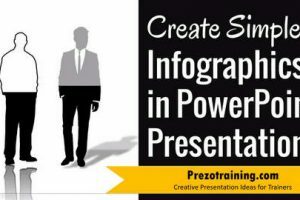 It is the only program you’ll need to create professional quality business presentations that get you results. In the next article, we will explore the third spam filter used by the old brain of your audience – to determine whether they need to pay attention to your presentation or not.